Oskaloosa, Iowa – Despite being in her first year as Superintendent, Paula Wright is making it clear that she is not afraid of change. Wright was hired in April 2018, after then-Superintendent Russ Reiter accepted a Superintendent position in Independence, Iowa. Coming from the Chariton School District, where she had previously served as Superintendent, Wright said she was excited to hit the ground running in Oskaloosa. “It has been a fun transition for me from my previous position, and I have enjoyed every minute,” Wright said. 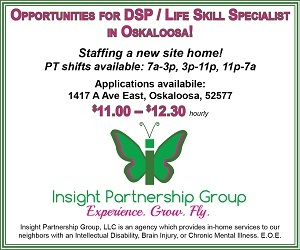 “Oskaloosa has some amazing things going on. It’s a really great school district, and I’m very proud to be a part of it,” she added. 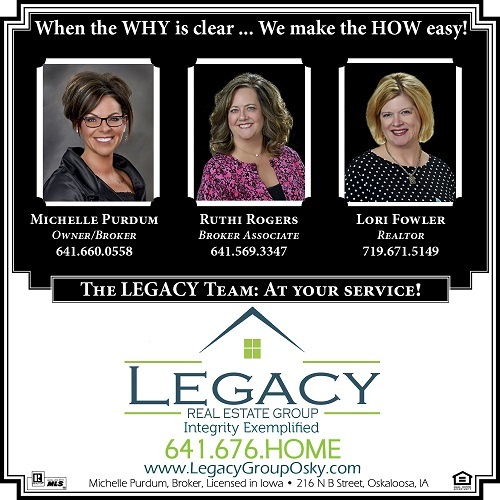 Wright said one of the first things, after she started her job in Oskaloosa, was to work on developing a clear set of goals for herself, and the district. Wright said that it was clear to her there were several priorities the board and community itself were concerned about. “Throughout the interview process and then after I was hired… several things came to light as clear priorities for the district,” Wright said. Those priorities included student achievement, safety/finances, and school facilities. Student Achievement has been a significant concern for current and former board members and also has dominated previous school board elections. Wright said that she has tried to tackle that concern. She added that she has worked to keep the focus solely away from test scores. Wright also noted that she has tried to make sure that expectations are set high for students, but also to ensure that the district is providing opportunities for students in the district. “It is about test scores, but it’s also about those opportunities for all kids to be successful in school,” she said. “So, when we say student achievement, that’s what we’re talking about and not necessarily how well they do on the Iowa Assessments,” she added. In recent days, a controversy has arisen regarding potential changes in administrators at the Elementary School. Wright, in an attempt to clear up some misinformation, made a post on social media about the possible changes. She added, in an interview with Oskaloosa News, that potential changes at the Elementary School had been discussed as early as November, when she met with representatives of each grade level at the elementary school. One thing became clear, according to Wright. “I heard from the committee work that we were top heavy in administration, and we were lacking support at a lower level for some of our immediate students,” Wright said. She added that several solutions were considered, however eventually she narrowed down the ideas to reorganizing the elementary school administration to having a head principal, associate principal, and a team of behavioral interventionists. This is not derogatory towards anyone, but it is less chiefs and more Indians,” Wright said of the plan. The board approved the plan in February. “We began the process of moving forward with that,” Wright said. Wright noted that the process began with the board hiring a search firm to assist with the hiring process, though Wright stated that they had no decision-making power in the hiring process, saying the firm handled reference checks and background checks. “We did hire a search firm to help with the process, but they make no recommendations as to who should be where or what should happen,” Wright said. “The board was pretty firm that they want the best people that we can possibly get. They did not direct me who that should be,” she added. Wright said that at this time, she has not officially made a recommendation to the Board as to who will lead the Elementary School next year. She noted there has been a lot of misinformation floating around on social media regarding the changes. “Absolutely no administrators in the district have received pink slips. Absolutely no administrators in the district have been terminated or fired. That needs to be loud and clear,” Wright said. “That is not in the works. That is not true. They all need their reputation preserved,” she added. One particular issue of miscommunication on social media has been the employment status of Mike Dursky, who has been a principal at the elementary school for several years. Wright addressed this issue. “A current administrator is alive and well at the elementary school and will be alive and well there next year unless he decides to make a change, which in my understanding he is not making a change, and I am happy about that,” Wright said. “He is Mr. Oskaloosa,” she also said. Wright noted that she is limited as to what she can say about the employment status of district employees, especially employees that she directly supervises, such as Dursky. “It would not be professional for me to make any comments about that,” Wright said. Ultimately, Wright said she is excited about the prospect of her continued tenure in the district. 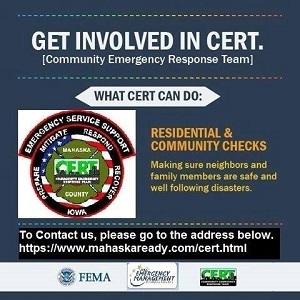 She said that she desires to share the news of what is going on in Oskaloosa at every possible opportunity, including through the creation of videos. 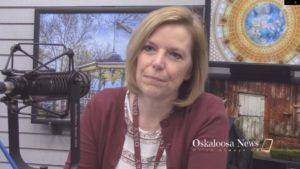 “There are so many amazing things happening at Oskaloosa Schools that we’ve got to share that,” Wright said. “Oskaloosa’s got so many things to be proud of that we’ve got to make that viral,” she added.